Grow Community is pleased to announce 2- and 3-bedroom condominium units in the Juniper building are now entering the market for the first time. 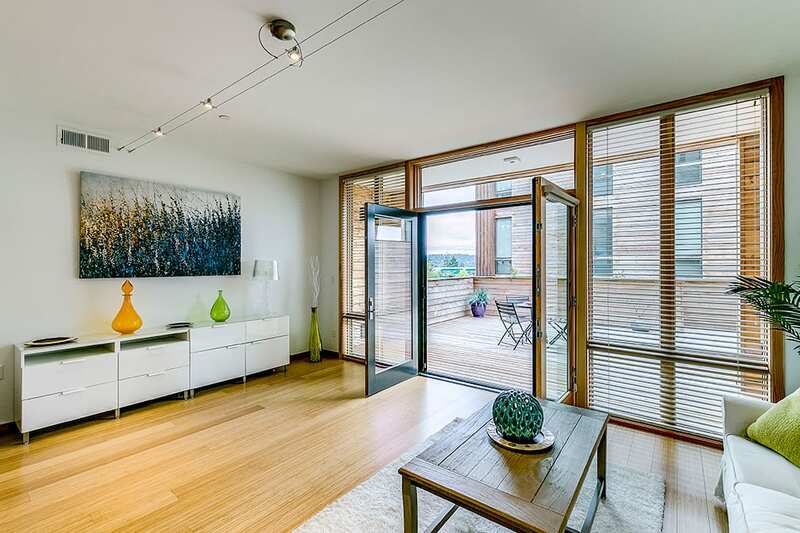 Each unit offers the full range of quality construction, fine appointments and planet-friendly, energy-saving features buyers have come to expect from Washington’s largest planned-solar community. 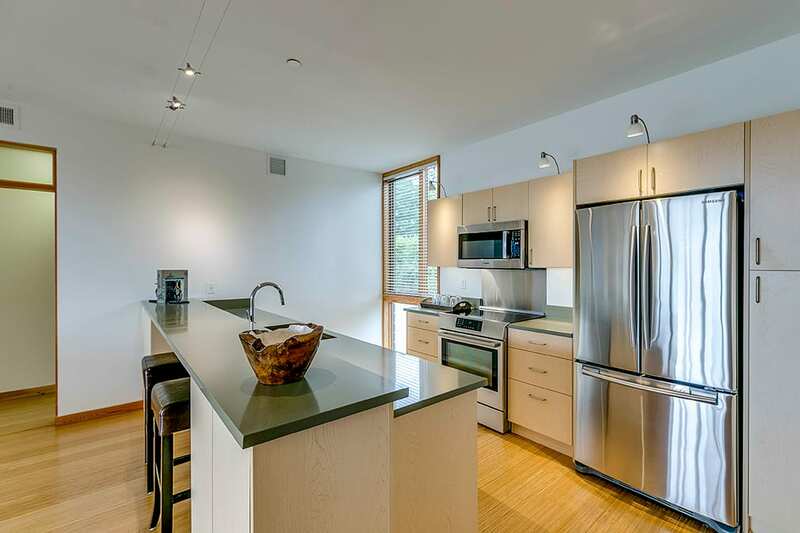 These beautifully designed, ultra-efficient homes boast Bosch appliance packages, quartz counters, floor-to-ceiling windows, all-home circulation and heat recovery, and efficient low-flow fixtures. Rooftop solar offsets utility costs and provides a refund to the homeowner each year. All Juniper homes feature convenient, single-level living with bedrooms and active spaces on one level. Ground-floor garden homes open onto secluded outdoor patios, while second- and third-floor units offer spacious private decks. A semi-private elevator provides access from underground parking and storage directly to your entryway. Juniper Unit 104: A corner unit facing south onto the Grove, this 1,477 sf. home offers three bedrooms, 1.75 baths and an open, spacious living/dining area. An expansive private patio offers an additional 522 sf. 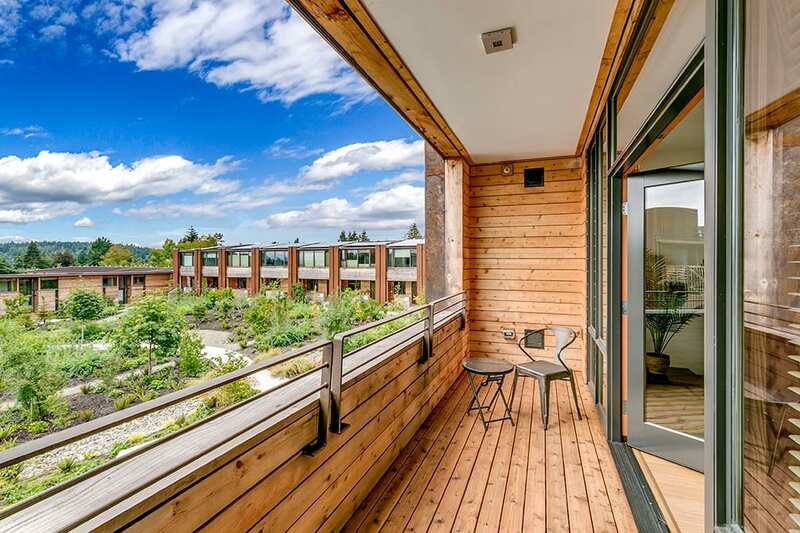 of outdoor living, opening directly onto a community greenway. See photos and floorplan here. 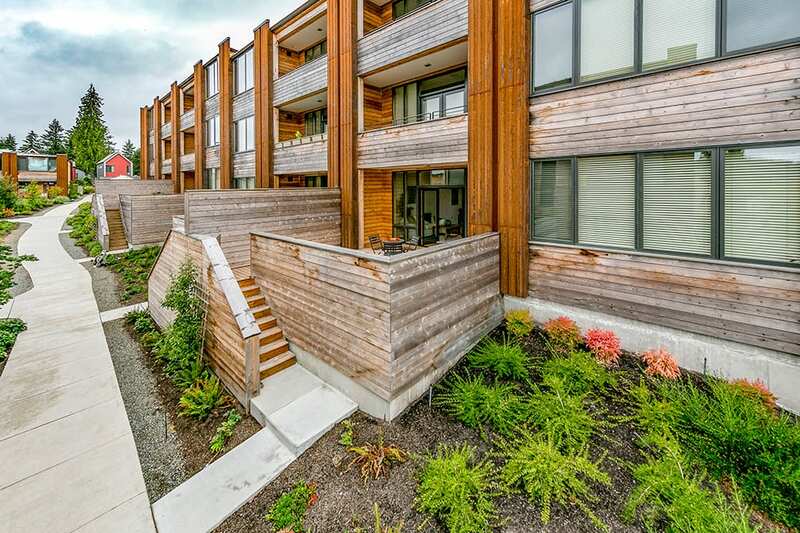 Juniper Unit 201: This popular layout includes 2 bedrooms and 1.75 baths over 1,468 sf. of comfortable living space. A covered deck adds 98 sf. of year-round outdoor living with generous south views for family and guests. See photos and floorplan here. Juniper Unit 303: Enjoy a birds-eye view of the Grove from the master suite of this 2-bedroom, 1,454 sf. unit. An open living/dining layout, ample walk-thru closet and 1.75 baths complement the many fine features. See photos and floorplan here. More available units will be announced soon as they enter the market. 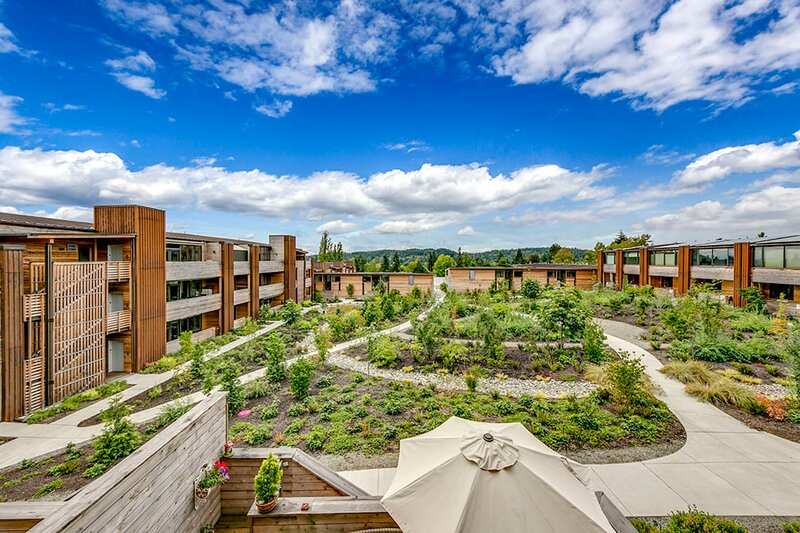 Contact Joie Olsen at 206.452.6755 and visit Grow Community and the Juniper homes today. Click here for more information on these homes.